The police recruitment exercise continues with body selection an physical screening from 29th January, 2018 at all screening centres. 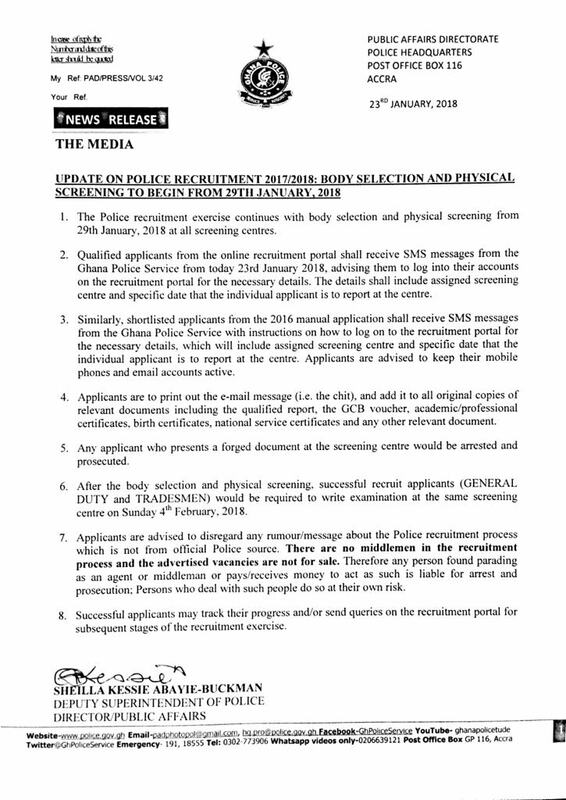 Qualified applicants from the online recruitment portal shall receive SMS messages from the Ghana Police Service from today 23rd January 2018, advising them to log into their accounts on the recruitment portal for the necessary details. The details shall include assigned screening centre an specific date that the individual applicant is to report the centre.